This outstanding example of a 2019 Ford Escape S is offered by Kendall Ford of Meridian. 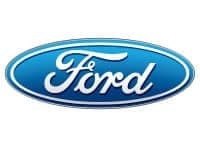 This Ford includes: U0F01 - CALIFORNIA EMISSIONS SYSTEM FRONT LICENSE PLATE BRACKET *Note - For third party subscriptions or services, please contact the dealer for more information. * This SUV gives you versatility, style and comfort all in one vehicle. Just what you've been looking for. With quality in mind, this vehicle is the perfect addition to take home. You can finally stop searching... You've found the one you've been looking for. **Conditional Selling Price displayed includes Manufacturer Rebates and Kendall Discount. Not all customers may quality for Rebates included in Conditional Price. Please see or contact Kendall Ford of Meridian for completes details. Price listed does not include taxes, title, license and $299 Dealer Documentation Fee. While every reasonable effort is made to ensure the accuracy of the vehicle description displayed on this page, dealer makes no warranties, express or implied, with regard to the vehicle or vehicle description. Please verify all vehicle information before entering into a purchase agreement. If the vehicle being purchased is to be financed, the annual percentage rate may be negotiated with the dealer. The dealer may receive a fee or other compensation for processing or arranging financing for the sale. Only equipment basic to each model is listed. Call or email for complete, specific vehicle information. Factory incentives are subject to change and may depend on location of buyer's residence. This 2019 Ford Escape S is offered to you for sale by Kendall Ford of Meridian. This Ford includes: U0F01 - CALIFORNIA EMISSIONS SYSTEM FRONT LICENSE PLATE BRACKET *Note - For third party subscriptions or services, please contact the dealer for more information. * Want more room? Want more style? This Ford Escape is the vehicle for you. Just what you've been looking for. With quality in mind, this vehicle is the perfect addition to take home. The Ford Escape S will provide you with everything you have always wanted in a car -- Quality, Reliability, and Character. **Conditional Selling Price displayed includes Manufacturer Rebates and Kendall Discount. Not all customers may quality for Rebates included in Conditional Price. Please see or contact Kendall Ford of Meridian for completes details. Price listed does not include taxes, title, license and $299 Dealer Documentation Fee. While every reasonable effort is made to ensure the accuracy of the vehicle description displayed on this page, dealer makes no warranties, express or implied, with regard to the vehicle or vehicle description. Please verify all vehicle information before entering into a purchase agreement. If the vehicle being purchased is to be financed, the annual percentage rate may be negotiated with the dealer. The dealer may receive a fee or other compensation for processing or arranging financing for the sale. Only equipment basic to each model is listed. Call or email for complete, specific vehicle information. Factory incentives are subject to change and may depend on location of buyer's residence. Contact Kendall Ford of Meridian today for information on dozens of vehicles like this 2019 Ford Escape S. This Ford includes: U0F01 - CALIFORNIA EMISSIONS SYSTEM FRONT LICENSE PLATE BRACKET *Note - For third party subscriptions or services, please contact the dealer for more information. * This SUV gives you versatility, style and comfort all in one vehicle. The look is unmistakably Ford, the smooth contours and cutting-edge technology of this Ford Escape S will definitely turn heads. There is no reason why you shouldn't buy this Ford Escape S. It is incomparable for the price and quality. **Conditional Selling Price displayed includes Manufacturer Rebates and Kendall Discount. Not all customers may quality for Rebates included in Conditional Price. Please see or contact Kendall Ford of Meridian for completes details. Price listed does not include taxes, title, license and $299 Dealer Documentation Fee. While every reasonable effort is made to ensure the accuracy of the vehicle description displayed on this page, dealer makes no warranties, express or implied, with regard to the vehicle or vehicle description. Please verify all vehicle information before entering into a purchase agreement. If the vehicle being purchased is to be financed, the annual percentage rate may be negotiated with the dealer. The dealer may receive a fee or other compensation for processing or arranging financing for the sale. Only equipment basic to each model is listed. Call or email for complete, specific vehicle information. Factory incentives are subject to change and may depend on location of buyer's residence. Contact Kendall Ford of Meridian today for information on dozens of vehicles like this 2019 Ford Escape S. This Ford includes: U0F01 - CALIFORNIA EMISSIONS SYSTEM FRONT LICENSE PLATE BRACKET *Note - For third party subscriptions or services, please contact the dealer for more information. * Want more room? Want more style? This Ford Escape is the vehicle for you. This is about the time when you're saying it is too good to be true, and let us be the one's to tell you, it is absolutely true. Beautiful color combination with Magnetic Metallic exterior over Chromite Gray/Chrcl Black interior making this the one to own! **Conditional Selling Price displayed includes Manufacturer Rebates and Kendall Discount. Not all customers may quality for Rebates included in Conditional Price. Please see or contact Kendall Ford of Meridian for completes details. Price listed does not include taxes, title, license and $299 Dealer Documentation Fee. While every reasonable effort is made to ensure the accuracy of the vehicle description displayed on this page, dealer makes no warranties, express or implied, with regard to the vehicle or vehicle description. Please verify all vehicle information before entering into a purchase agreement. If the vehicle being purchased is to be financed, the annual percentage rate may be negotiated with the dealer. The dealer may receive a fee or other compensation for processing or arranging financing for the sale. Only equipment basic to each model is listed. Call or email for complete, specific vehicle information. Factory incentives are subject to change and may depend on location of buyer's residence. This 2019 Ford Escape S is proudly offered by Kendall Ford of Meridian This Ford includes: U0F01 - CALIFORNIA EMISSIONS SYSTEM FRONT LICENSE PLATE BRACKET *Note - For third party subscriptions or services, please contact the dealer for more information. * Want more room? Want more style? This Ford Escape is the vehicle for you. You can finally stop searching... You've found the one you've been looking for. You've found the one you've been looking for. Your dream car. **Conditional Selling Price displayed includes Manufacturer Rebates and Kendall Discount. Not all customers may quality for Rebates included in Conditional Price. Please see or contact Kendall Ford of Meridian for completes details. Price listed does not include taxes, title, license and $299 Dealer Documentation Fee. While every reasonable effort is made to ensure the accuracy of the vehicle description displayed on this page, dealer makes no warranties, express or implied, with regard to the vehicle or vehicle description. Please verify all vehicle information before entering into a purchase agreement. If the vehicle being purchased is to be financed, the annual percentage rate may be negotiated with the dealer. The dealer may receive a fee or other compensation for processing or arranging financing for the sale. Only equipment basic to each model is listed. Call or email for complete, specific vehicle information. Factory incentives are subject to change and may depend on location of buyer's residence. You can find this 2019 Ford Escape S and many others like it at Kendall Ford of Meridian. This Ford includes: U0F01 - CALIFORNIA EMISSIONS SYSTEM FRONT LICENSE PLATE BRACKET *Note - For third party subscriptions or services, please contact the dealer for more information. * Want more room? Want more style? This Ford Escape is the vehicle for you. Just what you've been looking for. With quality in mind, this vehicle is the perfect addition to take home. This is about the time when you're saying it is too good to be true, and let us be the one's to tell you, it is absolutely true. **Conditional Selling Price displayed includes Manufacturer Rebates and Kendall Discount. Not all customers may quality for Rebates included in Conditional Price. Please see or contact Kendall Ford of Meridian for completes details. Price listed does not include taxes, title, license and $299 Dealer Documentation Fee. While every reasonable effort is made to ensure the accuracy of the vehicle description displayed on this page, dealer makes no warranties, express or implied, with regard to the vehicle or vehicle description. Please verify all vehicle information before entering into a purchase agreement. If the vehicle being purchased is to be financed, the annual percentage rate may be negotiated with the dealer. The dealer may receive a fee or other compensation for processing or arranging financing for the sale. Only equipment basic to each model is listed. Call or email for complete, specific vehicle information. Factory incentives are subject to change and may depend on location of buyer's residence. Contact Kendall Ford of Meridian today for information on dozens of vehicles like this 2019 Ford Escape S. This Ford includes: U0F01 - CALIFORNIA EMISSIONS SYSTEM FRONT LICENSE PLATE BRACKET *Note - For third party subscriptions or services, please contact the dealer for more information. * Want more room? Want more style? This Ford Escape is the vehicle for you. The Ford Escape S will provide you with everything you have always wanted in a car -- Quality, Reliability, and Character. You can finally stop searching... You've found the one you've been looking for. **Conditional Selling Price displayed includes Manufacturer Rebates and Kendall Discount. Not all customers may quality for Rebates included in Conditional Price. Please see or contact Kendall Ford of Meridian for completes details. Price listed does not include taxes, title, license and $299 Dealer Documentation Fee. While every reasonable effort is made to ensure the accuracy of the vehicle description displayed on this page, dealer makes no warranties, express or implied, with regard to the vehicle or vehicle description. Please verify all vehicle information before entering into a purchase agreement. If the vehicle being purchased is to be financed, the annual percentage rate may be negotiated with the dealer. The dealer may receive a fee or other compensation for processing or arranging financing for the sale. Only equipment basic to each model is listed. Call or email for complete, specific vehicle information. Factory incentives are subject to change and may depend on location of buyer's residence. You can find this 2019 Ford Escape S and many others like it at Kendall Ford of Meridian. This Ford includes: U0F01 - CALIFORNIA EMISSIONS SYSTEM FRONT LICENSE PLATE BRACKET *Note - For third party subscriptions or services, please contact the dealer for more information. * Want more room? Want more style? This Ford Escape is the vehicle for you. This vehicle won't last long, take it home today. Look no further, you have found exactly what you've been looking for. **Conditional Selling Price displayed includes Manufacturer Rebates and Kendall Discount. Not all customers may quality for Rebates included in Conditional Price. Please see or contact Kendall Ford of Meridian for completes details. Price listed does not include taxes, title, license and $299 Dealer Documentation Fee. While every reasonable effort is made to ensure the accuracy of the vehicle description displayed on this page, dealer makes no warranties, express or implied, with regard to the vehicle or vehicle description. Please verify all vehicle information before entering into a purchase agreement. If the vehicle being purchased is to be financed, the annual percentage rate may be negotiated with the dealer. The dealer may receive a fee or other compensation for processing or arranging financing for the sale. Only equipment basic to each model is listed. Call or email for complete, specific vehicle information. Factory incentives are subject to change and may depend on location of buyer's residence. Are you shopping new SUVs and crossovers in Idaho? 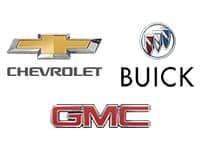 With the help of the staff at our Kendall Auto Idaho dealerships in Meridian and Nampa, you can find just what you’re looking for in a new SUV or crossover. 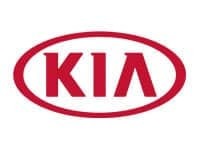 Shop our popular selection of new Ford SUVs, Kia SUVs, Chevrolet SUVs, and many others. Learn more about new SUVs by getting in touch with our sales team! 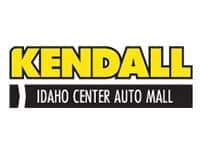 Contact us or come by your nearest Kendall dealership to see how we can help you get behind the wheel of your new SUV near Boise. 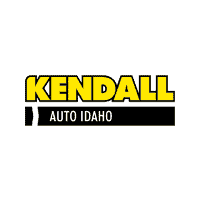 We look forward to hearing from you and helping you during your visit to your nearest Kendall Auto Idaho dealership in Nampa or Meridian. Find your next SUV when you shop our inventory of new SUVs in Idaho. 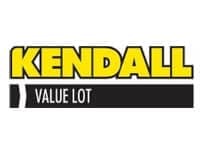 With a variety of customization options available for your new SUV, the staff at your Kendall dealership is convinced that we can find what suits your needs in the Boise area. While you’re here, you can also shop our inventory of like-new Certified Pre-Owned cars or used cars. With a variety of options in our SUV selection, we’re sure you’ll easily find the new SUV that you’re looking for. 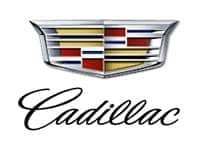 Shop our large inventory of new SUVs for sale in Idaho and our friendly sales team will help you find the SUV with the features and amenities that are right for you. The Ford Escape is the perfect ride for someone looking for an SUV that offers 4WD with plenty of off-road capability. Looking for something a little bit bigger? The Chevy Tahoe is a spacious and versatile full-size SUV that’s great for anyone looking to take their weekend to the next level. Visit one of our Idaho SUV dealerships today and shop our selection of new SUVs. We’re sure you’ll love what you find.